Boys with Duchenne muscular dystrophy (DMD) present by age 5 years with weakness and, untreated, stop walking unaided by age 10 or 11 years. We used magnetic resonance (MR) imaging to study age-related changes in the composition and distribution of diseased muscles. Eleven boys (mean 7.1±1.6 years) with DMD underwent clinical and MR examinations. Quantitative muscle strength and timed functional testing was performed. Thigh muscles were scanned at three levels (hip, mid-thigh, and knee) using T1-weighted spin echo and short-tau inversion recovery (STIR) sequences. Outcome measures included intramuscular fatty infiltration, intermuscle fat deposition, edema, and muscle size. Ten boys completed the study. Older boys demonstrated more prominent fatty infiltration of muscles. Fatty infiltration occurred in a characteristic pattern with the gluteus and adductor magnus muscles most commonly involved and the gracilis most commonly spared. Similarly, patchy increases in free water content suggested a pattern of intramuscular edema or inflammation. Atrophy occurred in muscles heavily infiltrated with fat, and true hypertrophy selectively occurred in those that were spared. While fibrofatty changes have been described in DMD, this study further defines differential involvement and additionally suggests widespread edema or inflammation. 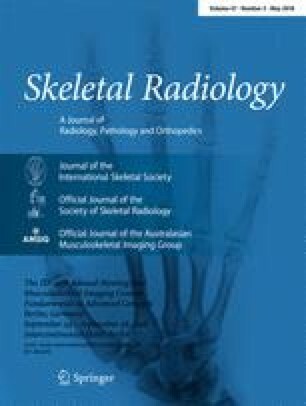 Improved imaging techniques to quantify the degree and distribution of these changes may provide a basis for exploring mechanisms of action of medications and perhaps another means for selecting treatment regimens and monitoring their effects. The authors would like to thank Jeanine Schierbecker, P.T., and Julaine Florence, P.T., for their assistance in the clinical evaluation of these boys. We would also like to thank Glenn Foster, R.T. (R, MR), and Rich Nagel, R.T. (R, MR), for their assistance performing the MR scans.